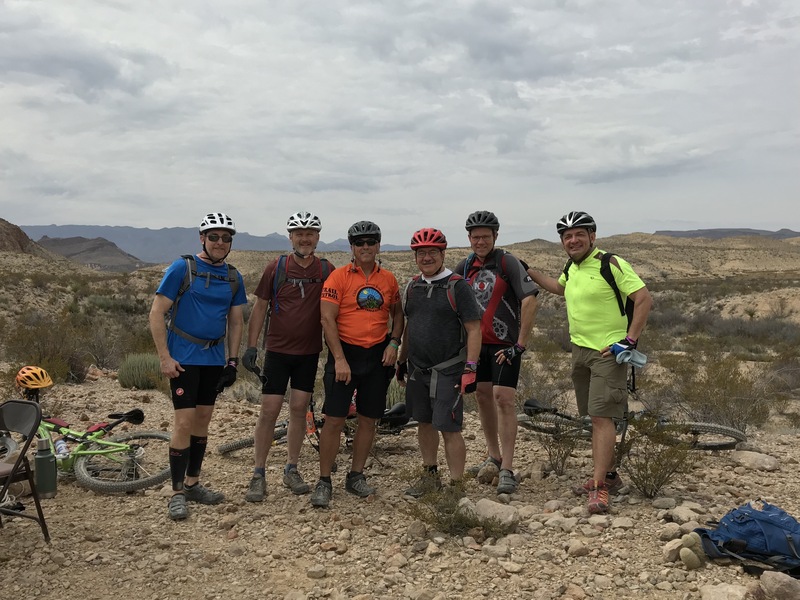 For the third year in a row, I drove across the Lone Star State with friends to participate in the Chihuahuan Desert Mountain Bike Endurance Fest. 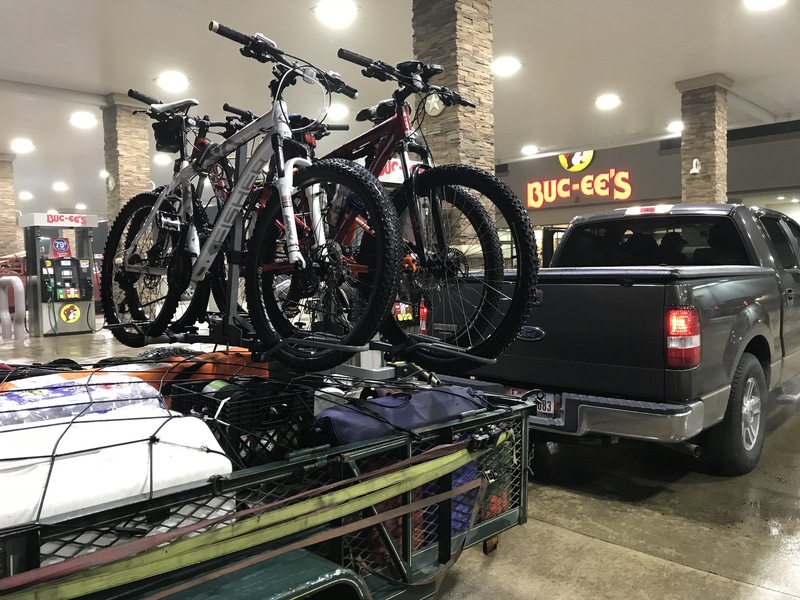 We loaded our mountain bikes and camping gear at four in the morning on Valentine’s Day and arrived at Big Bend Ranch State Park at four in the afternoon. We wasted no time in getting our base camp set up at the Maverick Ranch RV Park in Lajitas. 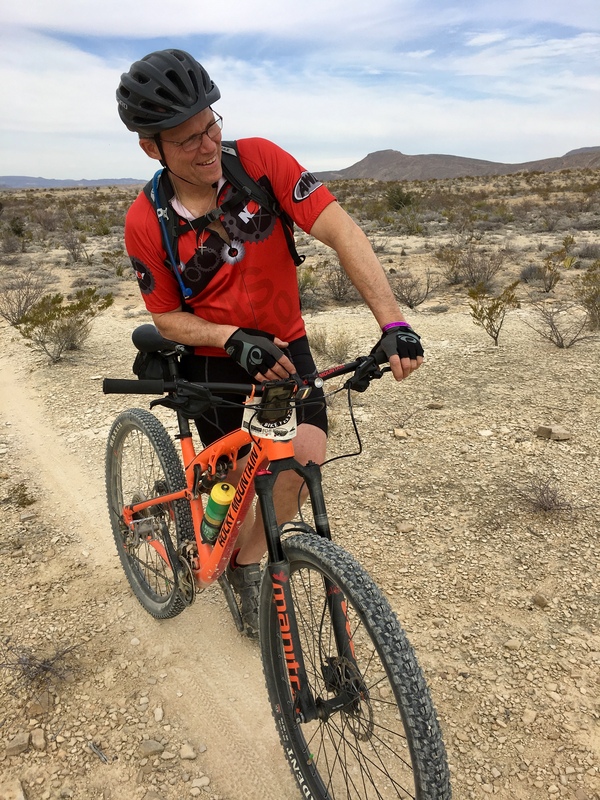 This park serves as ground zero for the Chihuahuan Desert Bike Fest that draws upwards of 500 mountain bikers from around the nation. For three days on Presidents Day weekend in February, the RV park becomes a small town with a population several times greater than that of Lajitas. 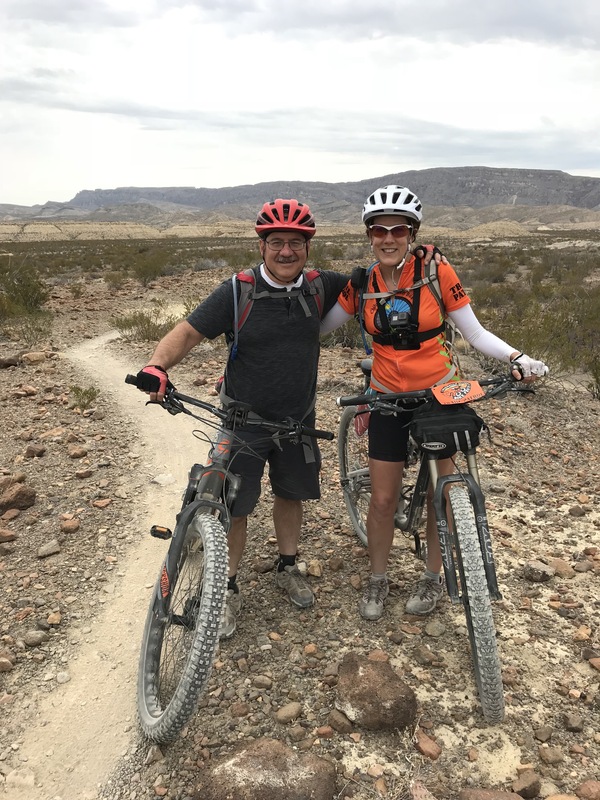 Big Bend Ranch State Park features some amazing trails, including a 50-plus mile Epic Loop rated as one of the best trails in the country by the International Mountain Biking Association. No worries, however, if you are hesitant to tackle a torturous trail like the Epic Loop. The bike fest is a non-competitive event that features a variety of guided rides for every skill level. After setting up our campsite, we mounted our bikes and headed east toward the Buena Suerte Trail to get a ride in before sunset. The Buena Suerte trail is a wide jeep trail that leads to several single track trails that range in difficulty from easy to pretty hard stuff to ride. Over the course of our two and a half days, we managed to rack up close to eighty-miles on the trails. While we all enjoyed riding our own mountain bikes, we couldn’t resist checking out the more expensive mountain bikes made available by the country’s biggest bike brands. 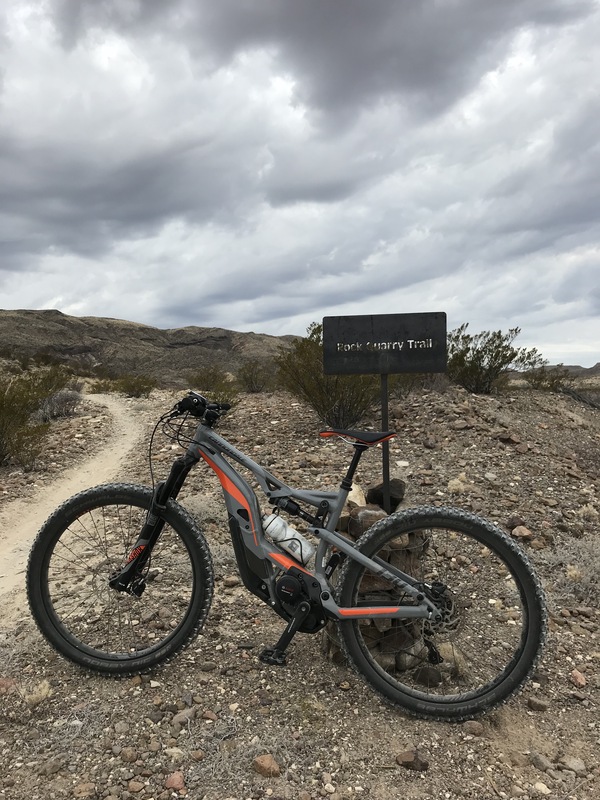 On our second day, I opted to try the Cannondale Monterra 2 electric mountain bike with full suspension and fat tires. This is one amazing mountain bike that features four electronic settings that make trail riding a whole new experience. This bike is nothing short of amazing. It was so much fun to ride and the fat tires just ate up the trails. 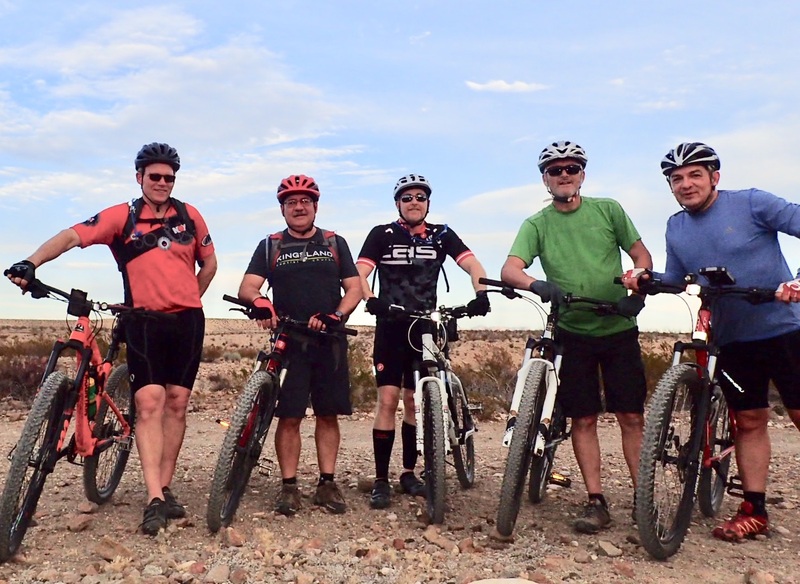 The best part of an event like the Chihuahuan Desert Bike Fest is sharing the adventure with friends. We had a blast checking out new trails, stopping to take pics along the way, back-tracking to repeat fun sections of the trails, eating some delicious meals, and sitting around the campfire in the evenings. I was especially glad to run into Karen Hoffman Blizzard and David Heinicke, two friends I met on my first ride two years ago. Karen is a contributing writer to Texas Parks and Wildlife magazine and David is the head naturalist at Brazos Bend State Park. They were great encouragers to me on my first ride and shepherded me down a trail that was a little above my riding skills at that time. 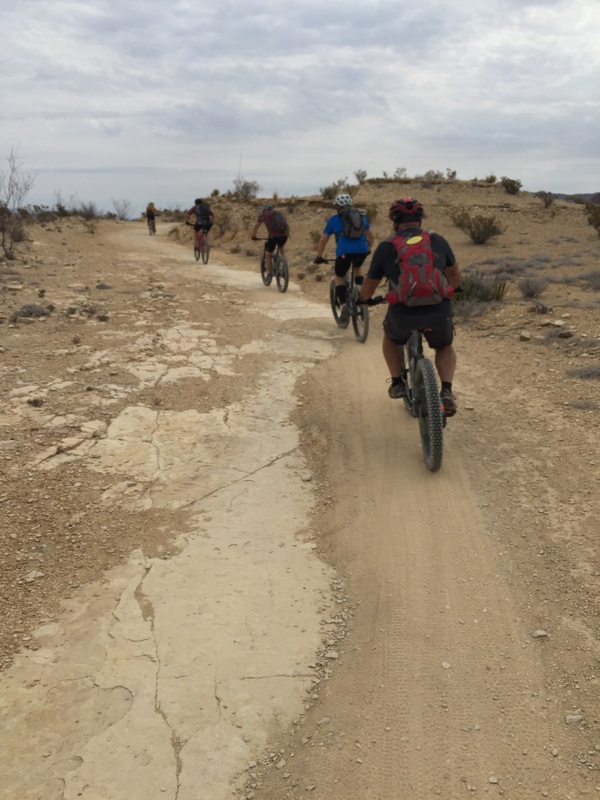 If you enjoy mountain biking then make it a point to do the Chihuahuan Desert Bike Fest. 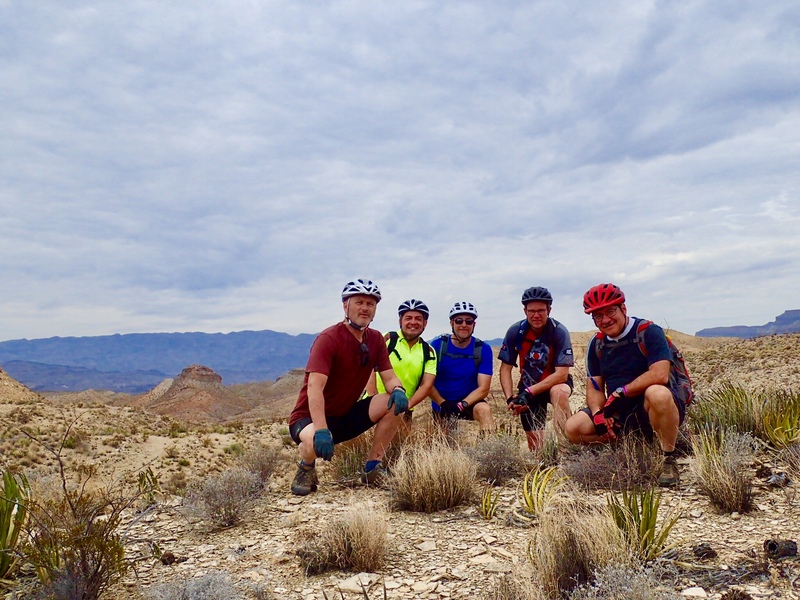 This ride is sponsored by Desert Sports of Terlingua, Big Bend Ranch State Park, and Lajitas Resort. If you are interested in riding, then be sure to register early. The event is capped at 500 riders and fills up well before the registration deadline. I think you’ll agree that this ride is unquestionably one of the best things going for mountain bikers in the Lone Star State. 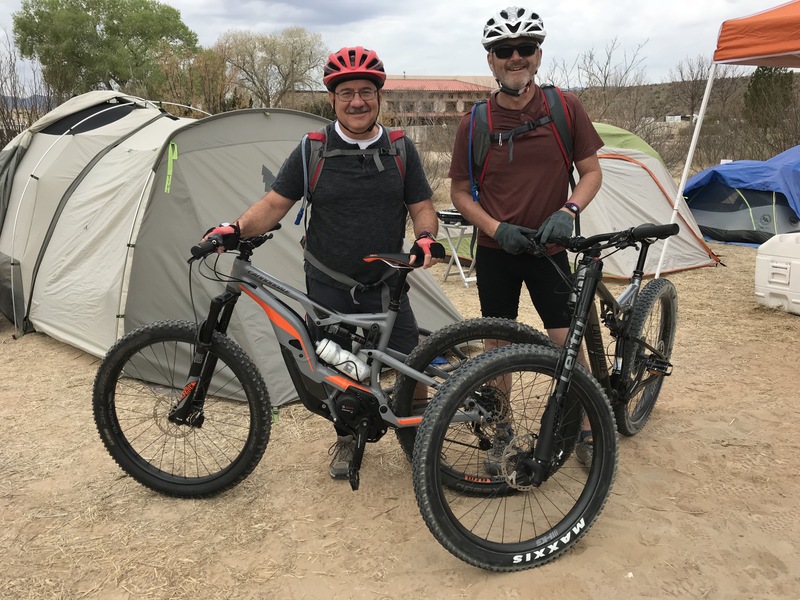 This entry was posted in Mountain Biking and tagged Adventure, Chihuahuan Desert Mountain Bike Endurance Fest, Lajitas, Lajitas Resort, Maverick Ranch RV Resort, Mountain Biking. Bookmark the permalink. Omar, I love to read about your adventures. I have come to the conclusion that God gave you nine lives, like a cat, and you have chosen to pack all nine of them into one human lifetime. In return, you never fail to bring glory to God as you pursue your many “trails.” You’re an inspiration! Thanks for your kind words and friendship, Lanni.